Proudly Run by the UK’s Leading Police Recruitment Publisher & Training Provider. Students who attend this course regularly go on to successfully pass the Police Officer selection process. The course itself is run by a former member of the MET police. Whilst in the MET recruitment branch, the course tutor wrote and delivered police assessment courses whose expert knowledge has helped 100s of people to become police officers. Combined with How2Become expertise, we have helped 1000s of aspiring police officers. If you are serious about joining the police, this is a must-attend course and is highly recommended for candidates seeking MET police training. Candidates who pass the police officer selection process have a thorough understanding of how they are going to be assessed. They also know EXACTLY how to match the core competencies at every stage of the process. If you want to pass the selection process, then this 1-day intensive police course will demonstrate how you can succeed. This course has established an excellent reputation for delivering high-quality selection preparation training. 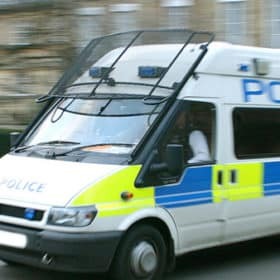 This is primarily due to the fact that the course itself is run by a former police recruiter and police assessment centre expert whose insider knowledge and wealth of career experience has helped 100s of people to become exceptional officers. This course teaches the police officer core competencies for ALL UK police services and shows all candidates what they MUST be doing to PASS! Assesses both your suitability for becoming an officer and also your ability to match the assessable core competencies that form part of the role. Depending on who you apply to, this stage could be proceeded by, online tests such as situational judgement tests. You will be required to pass the police psychometric tests, the Role Play/Interactive Exercises, and a competency based interview. Depending on which police service you have applied to, you may well have to do two written tests as well. You will be required to pass a medical test as well as the standard police fitness test; which can consist of the endurance tests (bleep test) and a dynamic strength test. 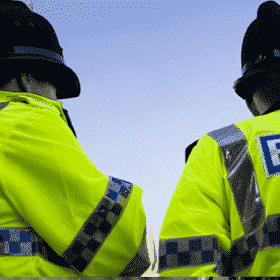 A number of Police Forces now require candidates to attend a final interview. This interview will further assess your motivations for joining as well as examine what you already know about the role and what you know about your chosen Police Force. If you want to pass the selection process and become a Police Officer, our 1-Day Intensive Training Course will teach you everything you need in know in order to succeed. Did you know that typically less than 10% of all applicants are actually successful? This course is proven to help better candidates chances of becoming a police officer. 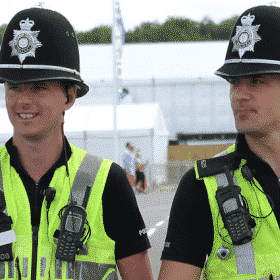 We have helped 1000s of aspiring police officers to date – more than anyone else! 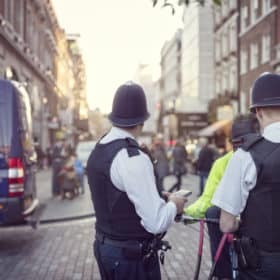 IMPORTANT: This course also covers the new core competencies and selection processes for the MET police (Including the VR and Video-Based Exercises and multiperson role plays). The Competency-Based Police Interview, including real sample questions that you can use to secure your role in the police service. This course teaches the latest police recruitment criteria and strategies and shows all candidates what they MUST be doing to PASS! (Hint: our best insider content is only revealed in this course). This course is run by a former member of the Metropolitan police’s recruitment branch, who specialised in not only recruiting people, but also training aspiring candidates so that they had a PROVEN better chance of joining. His knowledge, help and advice will improve your chances of joining any British police service. Let us help you to become a police officer today. How to fill in the application correctly (and the common mistakes to avoid). How to demonstrate you are the right person for the role. What you must include in all of your answers to be considered. Guidance from a police assessment centre specialist about the importance of the pre-reads. Guidance on how to use this information to your advantage prior to and on the day of your assessment. Using them appropriately during EVERY stage of the selection process. You will learn the format of these tests – both maths and verbal reasoning (plus the new exercises if you are applying to the MET, Thames Valley, West Yorkshire, West Midlands or South Wales). Proven preparation advice to increase your scores. Sample test questions and feedback to help you prepare fully. Understand the format of these tests. Learn EXACTLY how to approach these tests. Expert tips, including: what kind of tests are now used, the importance of writing legibly and literately, and avoiding mistakes. The format of this test and the scenarios you can expect. The activity phase and how to correctly play the scenarios. The opportunity to see and practice realistic role plays, including constructive performance improving feedback. Planning your 5-minute response to each interview question. How to deliver great answers at your interview. This concludes your 1-day police training UK course. The total cost of the course is just £97 plus vat. WHY ATTEND THIS POLICE TRAINING COURSE BY HOW2BECOME? Firstly, we truly are experts in police recruitment and a UK leader in award-winning guides and training resources. 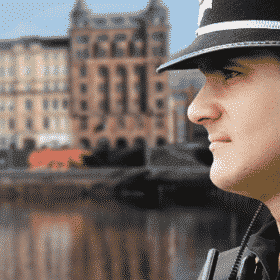 We have all the latest information and constantly update and improve our courses to ensure you are getting the BEST information to enable you to become a police officer. Secondly, this course just works. Take a look at our TrustPilot rating (9.5/10) where our attendees share their positive experiences and more importantly, the time-saving success they have had (these people are now serving police officers). Finally, we offer support and bonuses to all attendees – you’ll leave our course not only smarter, but we’ll also provide you resources and practice material to take home with you at no extra cost.